The main body, which is under tension from the computer, are the eyes especially if you sit all day in front of the monitor. Increased concentration of visual perception in 2-3 hours brings discomfort in the eyes – dryness, cramps, feeling of heaviness of the eyelids, and sometimes pronounced pain. Very soon, these symptoms become commonplace and, moreover, stop worrying. But at some point it becomes clear that the vision needs correction with glasses and lenses. However, it is possible to prevent and restore vision after computer independently. To restore vision after computer, start with prevention. Otherwise, if result appears, which is unlikely, it will be insignificant. So do work regular breaks. Regardless of the sensations in the eyes, two hours later, after working at the computer step away from the monitor at least two feet. Sitting in a chair (in the chair), sit on its back, close your eyes and attach them to the palm of your hand. In this relaxed state continue to feel the comfort in his eyes. Next, start the eye exercise, which consists of a few simple exercises, training different muscles of the eye. In a fixed head position move your eyes from the ceiling to the floor and back in the same way to the sides. Perform each exercise 10 times. Make eyes eight (translate view from the upper left corner to the bottom right and Vice versa). Then follow these eyes 8 circular motion alternately in each direction, and then often-often blinked. Go to the more effective exercises for the eyes. Draw on the window (glass) marker pen bold point. It should be at eye level in the sitting position and at a distance of 0.5 meters. Look at the point and then on the same level find the window any subject. Translate unblinking gaze on a point on a distant object. Do this exercise during each break (2 hours) for at least 5 minutes. In the same way can find in the office a distant and nearby object and perform the exercise in the same spirit. Complete the exercises for eyes relaxation. Again close the eyes and attach them to the palm of your hand. Then stand up and mash all the body. This is necessary to relieve congestion, which is a contributing factor to decreased vision. At moderate violations of regular eye exercise is able to completely restore vision after computer, and when expressed partially. It can be done at home, at work, on the street. In addition to the usual exercises for the eyes, use glasses and professional relaxation exercises for the eyes corresponding to the eyes. In addition to charging for the eyes, fortify them with vitamins A, E, b, C. Breathe the fresh air, exercise. These General guidelines are a necessary component of good vision. 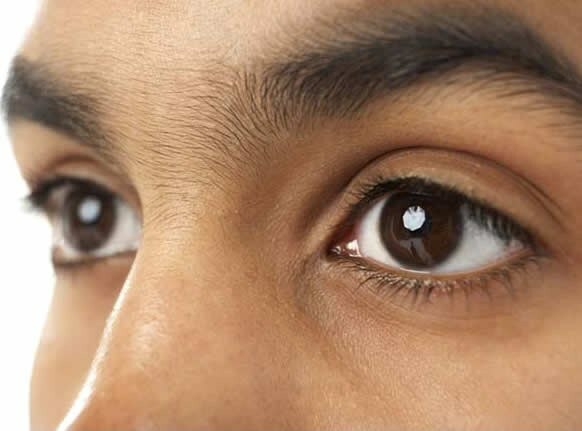 To completely restore vision after computer, you may need a long execution of the same exercises for the eyes. In addition to independent of their implementation, consult an ophthalmologist to obtain individual recommendations. Causes deterioration of vision in modern humans are most often the long work at the computer, prolonged views of TV programs, reading books in low light. First blurred vision causes only a slight inconvenience. But after some time this factor begins to seriously interfere with his usual life. As soon as you notice that your eyesight begins to fall, immediately take all possible action to recover it. A huge benefit to vision can bring regular execution of simple exercises for the eyes. The principle is similar gymnastics is to exercise the eye muscles. Special exercises help to hydrate, micro-circulation and rapid adaptation of the eye to any changes in external conditions. A mandatory element of a healthy lifestyle of modern man is the consumption of quality multivitamins. If the sharpness of vision is markedly reduced, in addition to restorative start taking special vitamins for the eyes, which include components such as lutein and zeaxanthin. These substances contribute to the normalization of cellular metabolism in the eyes, strengthen the blood vessels, thereby improving visual acuity. To suspend the process of drop, you can use special ophthalmic products. They are used most often during intensive visual loads. The use of special eye drops helps the muscles to relax. And thanks to the normalization of the circulation of the blood and intraocular fluid and increases visual acuity. Do not attempt to choose appropriate for you eye drops by yourself, leave it to an ophthalmologist. Blindness may be caused by different diseases. Naturally, in order to return the eyes to its former vigilance, it is necessary to eliminate concomitant disease. To poor vision, for example, often leads osteochondrosis of the cervical spine. Often eye doctor prescribes to restore vision glasses or contact lenses. These funds are a kind of correctors of view. Right for you will only specialist. Always keep the cleanliness of their glasses and contact lenses, otherwise is good vision you will achieve the big problems with the eyes. The human eye is not adapted for working at the computer. What if during prolonged work at the computer hurt my eyes, bad eyesight, a headache? We should take care to preserve vision when working at the computers. The image on the screen is created from individual dots that shimmer and glow. In addition, flicker and fluorescent lights that are installed in offices. So no surprise as to why watery and sore eyes, or, conversely, suffer from a lack of tear fluid. This phenomenon is called "effect of dry eye. 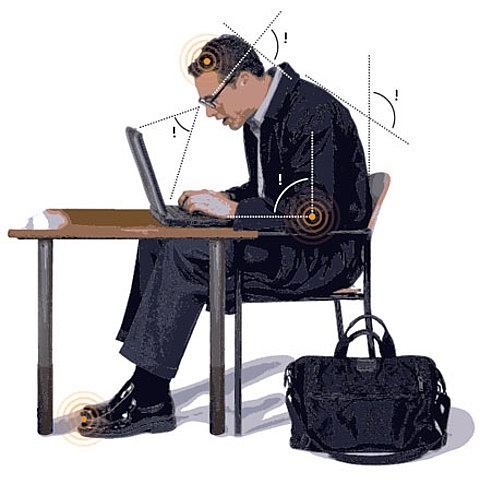 It affects more than half of those who work at the computer. What to do when eyes hurt? You need to regularly visit the eye doctor to take vitamins for the eyes and to observe some rules, developed by SAN Ping. The lamp should not dazzle the eye or reflected in the computer monitor. From the eyes to the monitor should be 50 - 70cm. The monitor should be 10 cm below eye level. 5. Regularly clean the monitor from dust. Try to rarely use laptops. Desktop computers are more comfortable for the eyes. Do not read from the screen of the tablet or laptop. Use during prolonged work at the computer special computer glasses. Take breaks in the work through every 45 minutes. The break should last 10 - 15 minutes. Take care with contact lenses. Don't forget to blink more often when working at the computer. You can stick the sticker on the monitor, where in large letters is written this rule. Use special computer programs that remind you to take a break at work. They are called: "Guardian eyes" and "Prevention of visual fatigue." Excessive use of the computer is harmful for eyes, so 7 out of 10 users during long reading display complain of a feeling of "sand" in the eyes, redness, pain and burning sensation. There are three simple rules that will help avoid discomfort while working on your PC and forget about the pain in his eyes. The key to healthy eyes is the competent organization of the workplace. The table should be placed to the right of the window, the light should fall on the countertop on the left. If you sit facing the window, the fluorescent light will irritate the eyes, and if you placed the window back, it's eyes will be annoyed from the sun's glare on the monitor. Lighting in the working area must be General and uniform. Prolonged work on a PC in the dark it is unacceptable to use table lamps and other local sources of illumination. It is best to light the ceiling lamps, thereby ensuring uniform illumination of the working area. Scientists established an interesting fact: when one looks at green eye strain goes much faster. Therefore, ophthalmologists suggest to put next to the computer room plant or object green and occasionally look at him, letting him rest his eyes. Position the monitor at a slight angle so the bottom part was a little closer to the top, and the top, in turn, was located just below eye level of the operator. Such a location of the display reduces eye strain. The PC monitor must be at the level of 50-60 cm from the eyes. If at this distance you can't see the image, it is better to set font to a larger size. The best for working is considered a dark font on a light background, ideally black print on a white background. Ensure that the monitor screen was absolutely clean. If you're wearing glasses – take care and of their purity. At least once a week, wipe the monitor screen with special detergents. Lens glasses clean they look dirty. To maintain good vision and prevent eye pain during computer work, you must take vitamins for the eyes. In addition, ophthalmologists recommend to include in your diet blueberries, carrots, black currants, and parsley, dill, green onions, drink green tea, tea from the fruit and leaves of hawthorn. There are special exercises for eyes, which improves circulation and relieves tension from tired organs of vision. This charging is recommended to perform at least once a day, performing each exercise 8-10 times. The exercises are simple: rotate your eyes, move your eyes from right to left and top to bottom, the eyes blink more often (50-100 times) alternately focus the eyes on near and far objects. After charging splash on the closed eyelids with cold water. Cooling facilitates the flow of blood to the organs of vision. After charging put it on the closed eyelids, warm palm, fingers cross on his forehead. Easy to push your palms on your eyes try to achieve a completely black background. Then tightly close your eyes and try to relax. Imagine something pleasant, e.g., surf or a forest meadow and the birds singing. Just a few minutes on charge and rest – and your eyes will be ready to operate!